Sen. Marco Rubio (R-FL) is one of the best in the upper chamber when it comes to budget and spending issues, earning high marks in 2013 and 2014 on FreedomWorks' congressional scorecard. He's also expanding the reach of the Republican Party with his youthfulness and pop culture savvy. The Florida Republican has, however, been among the most vocal defenders of the National Security Agency and the surveillance state. In an op-ed published on Wednesday at FoxNews.com, Rubio, invoking 9/11 and recent activities of the Islamic State, called on his colleagues on Capitol Hill to permanently extend Section 215 of the PATRIOT Act, one of the law's most controversial provisions. "This year, a new Republican majority in both houses of Congress will have to extend current authorities under the Foreign Intelligence Surveillance Act, and I urge my colleagues to consider a permanent extension of the counterterrorism tools our intelligence community relies on to keep the American people safe." 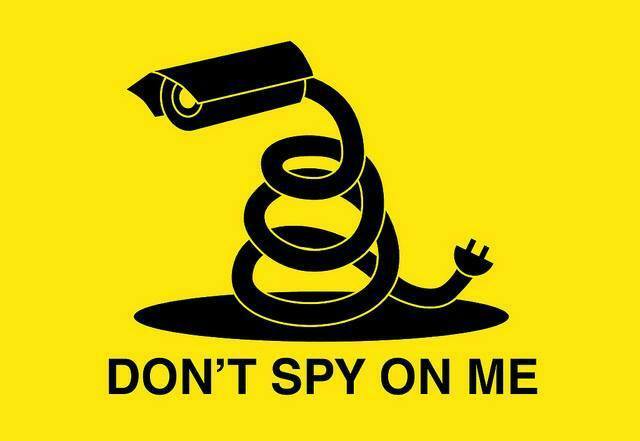 Section 215 of the USA PATRIOT Act amended the Foreign Intelligence Surveillance Act to make it easier for intelligence and federal law enforcement agencies to access third-party records related to investigations in suspected terrorist activity. This provision, though, has been used by the NSA as the legal justification to spy on Americans through the bulk collection of phone metadata. In the NSA's view, or so it seems, every American is a suspected terrorist. When the USA PATRIOT Act was passed in the aftermath of 9/11, concerned lawmakers managed to get sunsets added to more than a dozen provisions. The thinking was that they could review the provisions for abuses and overreach as they considered reauthorization every five years. But rather than look at the provisions with a reason and thoughtful approach, Congress has reauthorized them with very little opposition. Things could be different this year. Section 215 is set to expire at the end of May, and there is a large, bipartisan group of lawmakers demanding reform. They may leverage reauthorization of the provision to enact reforms that protect Americans' privacy from the NSA, including permanently ending the bulk collection of phone metadata. And though Rubio and others are invoking the threat of terrorism ahead of the debate over Section 215, there is no evidence that the NSA's bulk data collection program has prevented attacks. That, by the way, includes the recent Capitol bombing plot. Writing at Reason earlier this week, Patrick Eddington, a policy analyst in homeland security and civil liberties at the Cato Institute, put it more bluntly: "No, mass surveillance does not prevent terrorist attacks." Reauthorization of Section 215, whether it's permanent or not, without meaningful reform is fundamentally inconsistent with liberty. We can find a balance between our constitutionally guaranteed civil liberties and the need to protect the United States from threats without sacrificing everything on the altar of security.